Maine St. Andrew’s Pipes & Drums presents a program of varied pipe band music,from slow airs to marches to jigs and reels, traditional and otherwise. They have been a most popular performer at the Schoodic Arts Festival in past years. 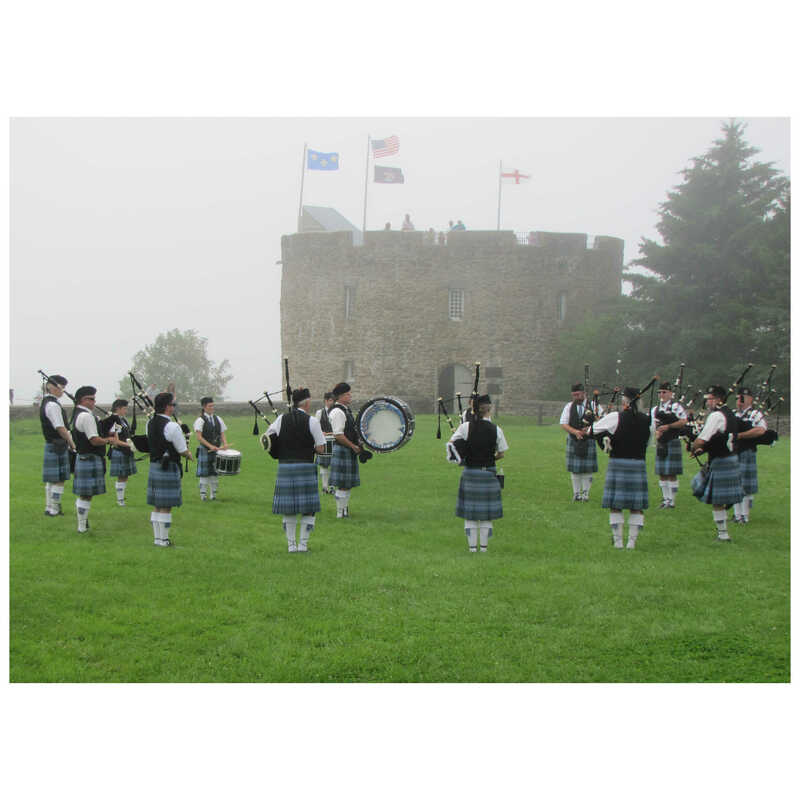 Based in Bangor, Maine, St. Andrew’s Pipes and Drums has entertained audiences for over 20 years in parades and concerts, and competed in pipe band contests in New England and Canada. The band proudly wears the Maine State Tartan. Designed in 1964, it is believed to be the oldest district tartan in the United States. Its colors include light blue representing the sky, dark blue for the waters, dark green for the forests, and a thin red line for the bloodline of the people.